Exciting Knitalong Update: Spud & Chloë! | Knit Like You Mean It. 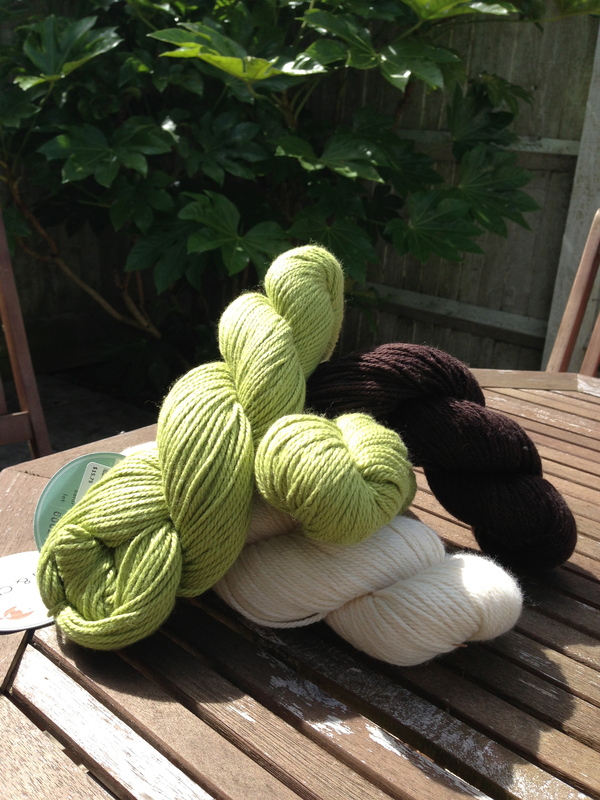 Exciting Knitalong Update: Spud & Chloë! 1. Ravelry Forum! 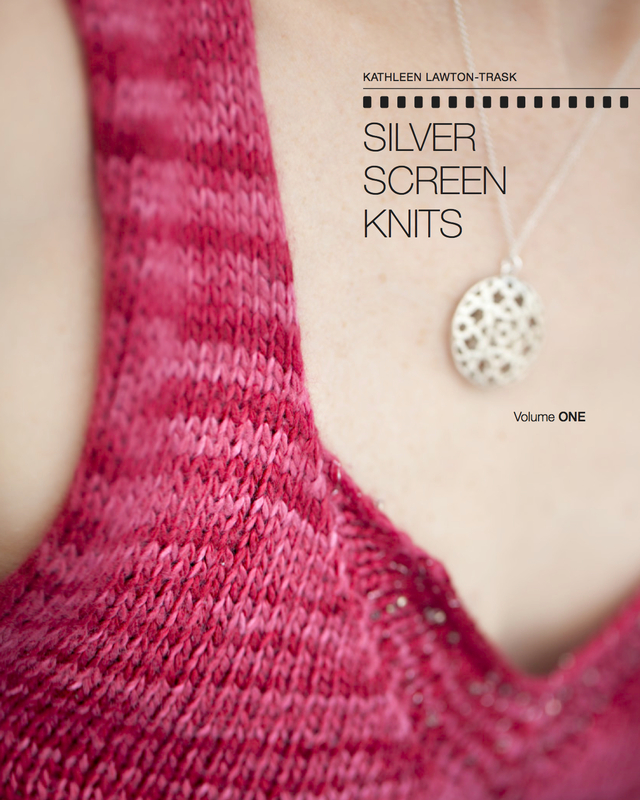 If you have any questions about the pattern, or want to connect with other people who are making the cardigan (or even want to find out about the modifications some people are making), you can pop over to the S&C group and chit-chat with all of us there. 2. Prizes! The chance to get something because you knit. What’s not to love? S&C have asked us to keep them a secret for now, but rest assured that they are real. 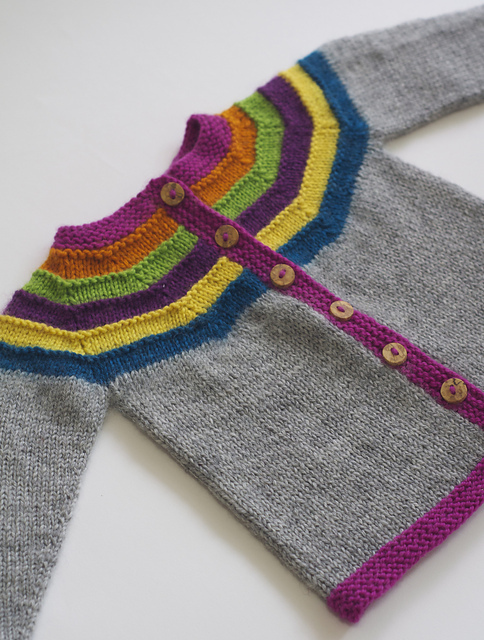 Right as Rainbow Baby Cardigan. Photo © Stephanie Lotven. I. Starters! The first category is for anyone who starts the sweater. Just cast on and create a project page by Wednesday, Sept. 25 and you’re entered to win. This category is near and dear to my heart, since I am sometimes a starter-not-finisher. One lucky starter will be chosen at random to receive a spiffy Spud & Chloë prize (details on prizes next week). II. Finishers! anyone who finishes a sweater and posts it (tagged, etc.) by Wednesday, Sept. 25 will be entered into a drawing for this prize. Easy peasy: finish a sweater, let us know about it, and you’re entered to win. The more sweaters you finish by the deadline, the more entries you will have in the drawing. Knit five sweaters, get five entries. III. Creatives! This category will reward creativity in all areas of the knitting: yarn choice, modifications, etc. and it will be judged by the designer herself, Stephanie Lotven. 1. In order to be eligible for one of the prizes, your cardigan should use at least one color of Spud & Chloe Sweater. This doesn’t mean you have to knit in S&C to be part of the knitalong – please join in the discussion no matter what. But, if you would like to be entered in any (or all) of the three categories, one of your yarns must be Sweater. 2. We also need to know about your project. No hiding your light under a bushel! We can’t enter you if we don’t know you’re knitting. 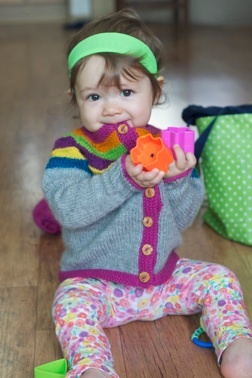 So to be eligible you must create a project on Ravelry (check out the handy-dandy Rav tour if you need help), link to the pattern Right as Rainbow Baby Cardigan and your yarn (including the Spud & Chloe Sweater you’re using), and mention the knitalong in your project notes. Again, though, those rules are just to be entered to win the prizes – not to participate in the knitalong. So I hope all of you will keep posting about what you’re knitting and how it’s coming along. The knitalong will begin on Sept. 4. The last day to post projects to enter the giveaway is will be Sept. 25. Me, I’m still swatching. Catherine has ordered some Sweater from Mrs. Moon in Twickenham and we’re doing an exchange: some of my teal, light blue, and cream yarn for some of the yarn she’s ordered. If you’re thinking of doing the pattern but need more colors, consider collaborating with a friend. Above are the colors I have so far. Can’t wait to see what Catherine sends me in the mail! 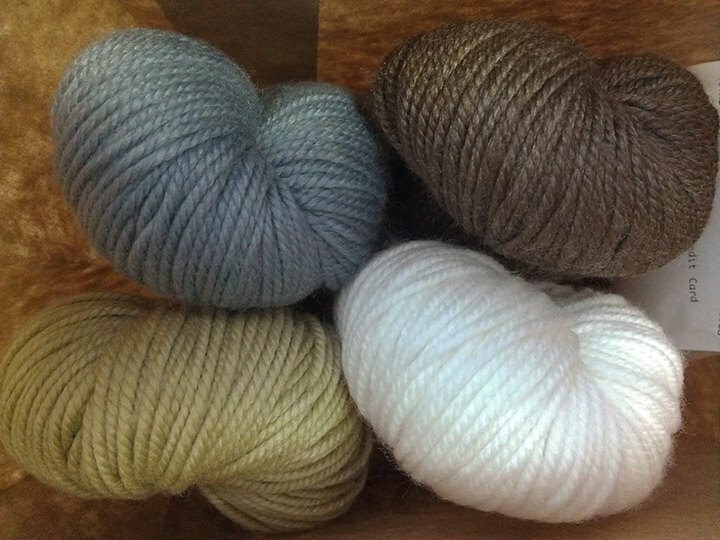 Joanna’s Yarn for the knitalong – Frog Tree Pediboo in gorgeous muted colors. In her post on the KLYMI Facebook page, Joanna says they are “the colors I see from my bedroom window – trees and sky.” Lovely! Won’t you pop over to Facebook or Ravelry and share your colors?